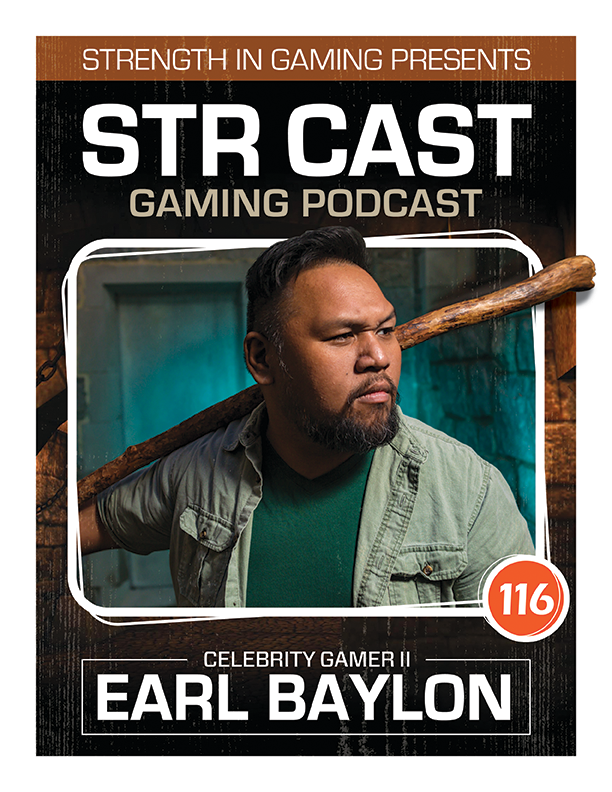 Earl Baylon is back on the show this time with his massive, girthy, deep dark celebrity in tow. We talk voice acting, mocap, Tomb Raider, World of Warcraft (WoW), Dungeons and Dragons (DnD), Apex Legends, old friends and new shows. Check out Earl’s new video podcast Pangeekery! Earl Baylon is known for his work on Shadow of the Tomb Raider (2018), Lumpia: With a Vengeance and Bajillion Dollar Propertie$ (2016). Member of award-winning sketch comedy group, SketchComedyShow.com. Is a member of LA-based short-form improv group, Room to Improv. Is an avid video gamer. Favorite games: Final Fantasy series and World of Warcraft. Favorite sandwich is a Reuben on Dutch Crunch. Favorite movie is Conan the Barbarian. How is the Tomb Raider fandom treating you? Your preferred video game genre? FPS, RTS, RPG etc. What games are you most looking forward to in your Steam backlog? What is a video game you are currently obsessed with? What’s the one video game you find yourself playing over and over again? Any specific video game franchises you would like to work with? If you could be a video game character in real life who would you be? What character would you like to voice / play outside of video games? What is the best aspect of voice acting? What is the worst part of voice acting, the thing you dislike the most? How do you feel about the DnD Board games? What is your preferred DnD Class? Do you have any campaigns going on now? Can you give us a demo of what it would be like with you as a DM/GM, describe a scenario in which the three hosts Cat, Sal and Samson have found themselves in. What is the worst thing that happened to a character of yours or in a campaign that failed a roll? You just launched a podcast along with colleagues Kaitlyn Fae, Walter Talens, Jenapher Zheng What is Pangeekery? Any plans to have guests on your new podcast? And where do we sign up? What is new with Room to Improv? What is your Pottermore House? Best method to kill a MEGA SHARK? Before ending, we will be sure to give ample time to plug latest or current projects, events, notable appearances etc.